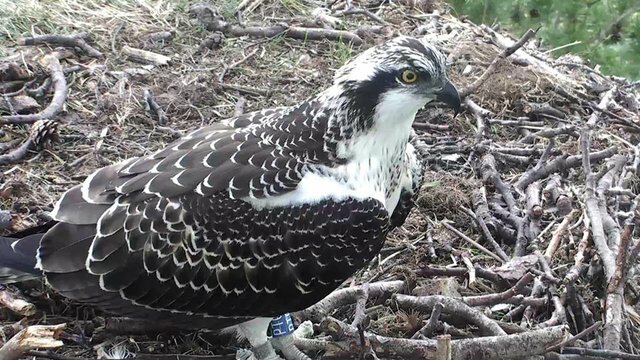 https://goo.gl/zNW3h7 - Blue LN1(18)m and Blue PT0(18)m.
***update 15:00*** LN1 fledged the nest and took his maiden flight at approximately 14:15 today. 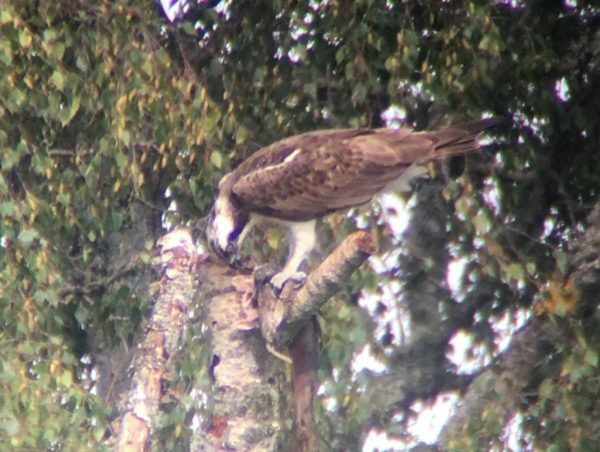 The oldest of the two osprey chicks at the Scottish Wildlife Trust’s Loch of the Lowes Visitor Centre and Wildlife Reserve near Dunkeld took its maiden flight this weekend just 53 days after emerging from its egg. The osprey fledged early on Saturday morning. Since that time he has spent a significant amount away from the nest, flying around the loch and perching in nearby trees. Both chicks have spent the last few weeks stretching their wing muscles and briefly hovering on the nest. The second osprey is expected to take his first flight in the next few days.